A former East Bay college professor pleaded not guilty Friday to using a U-shaped bike lock to strike people at a Trump rally in Berkeley last month — even though police have video evidence to the contrary. 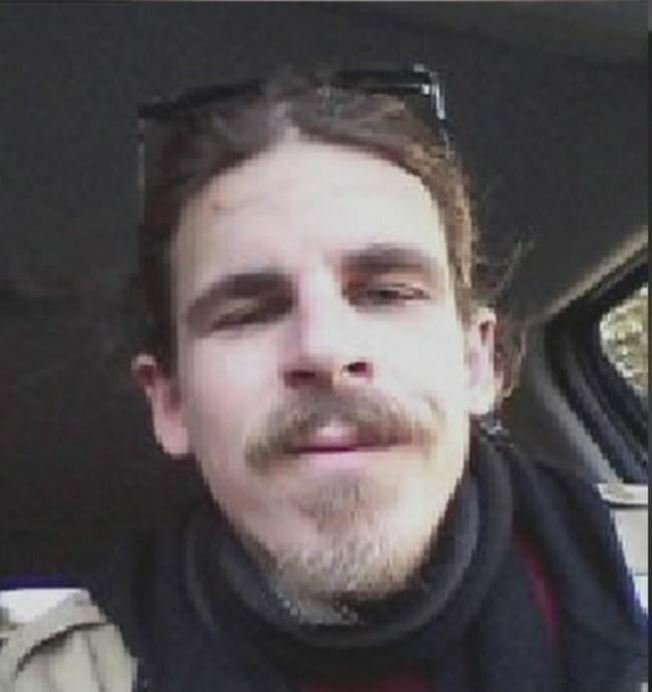 Bystanders filmed Eric Clanton, who previously taught philosophy at Pleasant Hill-based Diablo Valley College, hitting three victims' heads amid the April 15 melee at Martin Luther King Jr. Civic Center Park. The 28-year-old Oakland resident's violent actions left the victims with "significant injuries," police said. The "severity of these felonious assaults" prompted the Berkeley Police Department's homicide unit to oversee the investigation. The videos, which were circulated widely on social media, helped police track down Clanton, they said. Officers on Wednesday served search and arrest warrants at San Leandro and Oakland addresses linked to Clanton. He was located at the latter and arrested without incident. An East Bay college professor was arrested Wednesday on suspicion of using a U-shaped bike lock to strike three people at a President Trump rally in April. 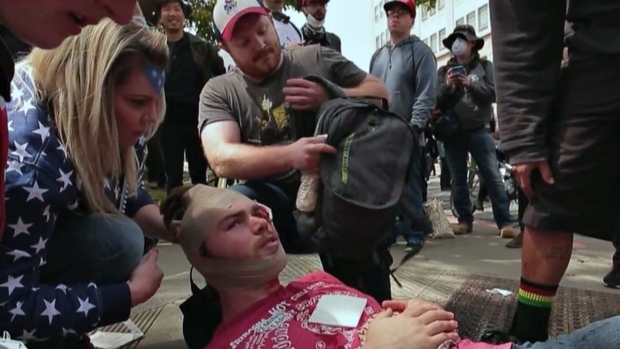 Clanton, an anti-fascist activist who studied at San Francisco State University, pleaded not guilty to charges of assault with a deadly weapon at his arraignment Friday. Emotions ran high in the Oakland courtroom, with who support and oppose him shouting at each other. "I think there are lots of issues in this case, including identity and what occurred at the demonstration in Berkeley," Clanton's attorney Dan Diegel said. However, Kevin Yee, who backs President Donald Trump, disagreed. "You can't keep doing this to us," he said. "You can't keep calling us Nazis, white supremacists. Obviously I'm not a white supremacist. You can't keep calling us that just to shut down dialogue." Clanton was booked into Berkeley City Jail and bail is set at $100,000. He is due back in court on June 14.